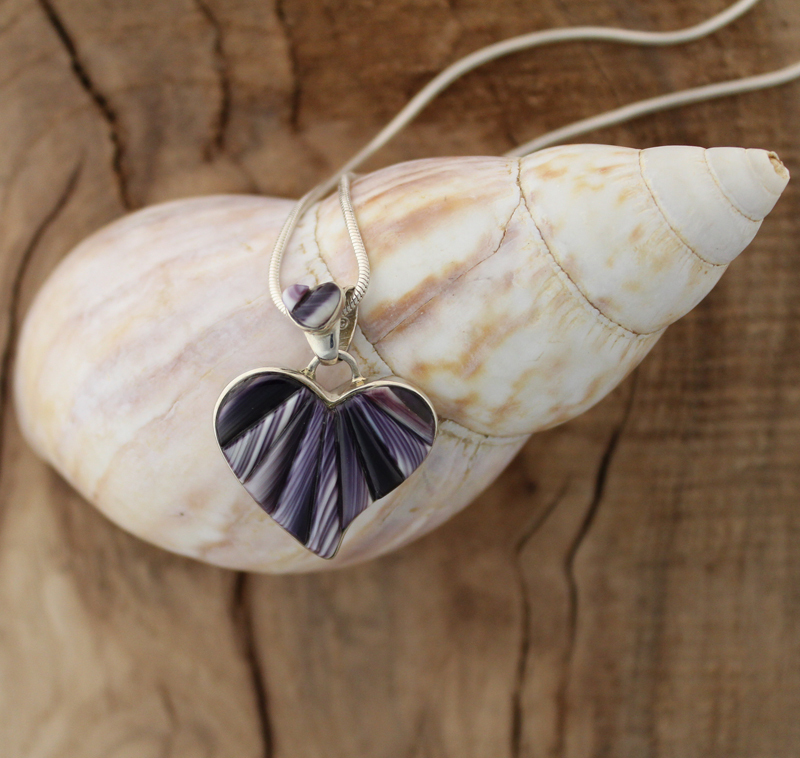 A perfect gift for that special someone, this heart pendant 'swings' the handcut Wampum corn-row style inlay. 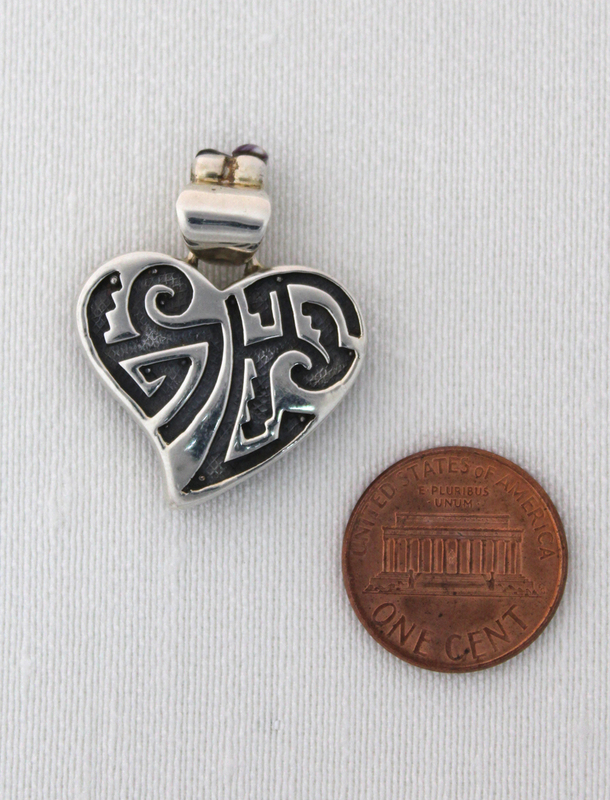 On the back side of the large heart is a beautifully detailed Sterling Silver southwestern cut-out design. 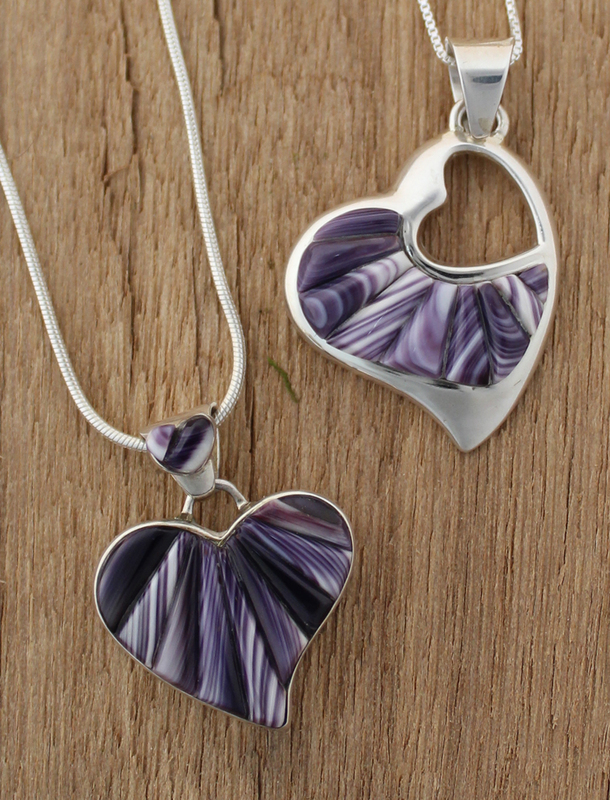 No matter what you want to wear today, this reversible pendant will match every color. You can also add any kind of our available Sterling Silver Chains, from 16 inch to 32 inch. We will be happy to help you find the right length and design for your personal style.